Brand new for Fall 2011, Tour Master and Cortech have released three new jackets which all look to be absolute home runs within their respective segments in the motorcycle riding community. Although we've not gotten an opportunity to shoot extensive video breakdowns yet, for now we will detail the standout features of these three jackets. Stay tuned for our video reviews in the near future! First up is the Cortech Brayker Jacket, which is a completely waterproof outer shell designed to be worn atop a compression suit (as it does not contain built-in armor). Ultimately designed for snow sports, the Brayker will compete with high-end snow gear products this season. Utilizing a Nanomax 3.0 membrane, that is impervious to precipitation and oil but allows perspiration to easily escape through thanks to its nano-porous nature. There is an Aqua-Barrier under-the-helmet hood which stows away when not in use but, when needed, keeps water from running down the helmet and into your jacket. There is also an external hood that is completely removable. There are two waterproof handwarmer pockets, two waterproof chest pockets, and two waterproof interior pockets. One of the inner pockets features an audio port to allow easy access to your MP3 player and headphone wires. Internally, you'll find a removable gaiter (powder skirt) that adds another layer of warmth by keeping wind out. Large pit zips can be opened in for a good amount of ventilation when you're going after it on the powder. You'll find adjustability at the wrist via velcro tabs, in addition to a drawstring at the lower hem to cinch this jacket down for a snug fit. There are also strategic areas of the jacket that feature Phoslite reflective piping for night-time visibility. 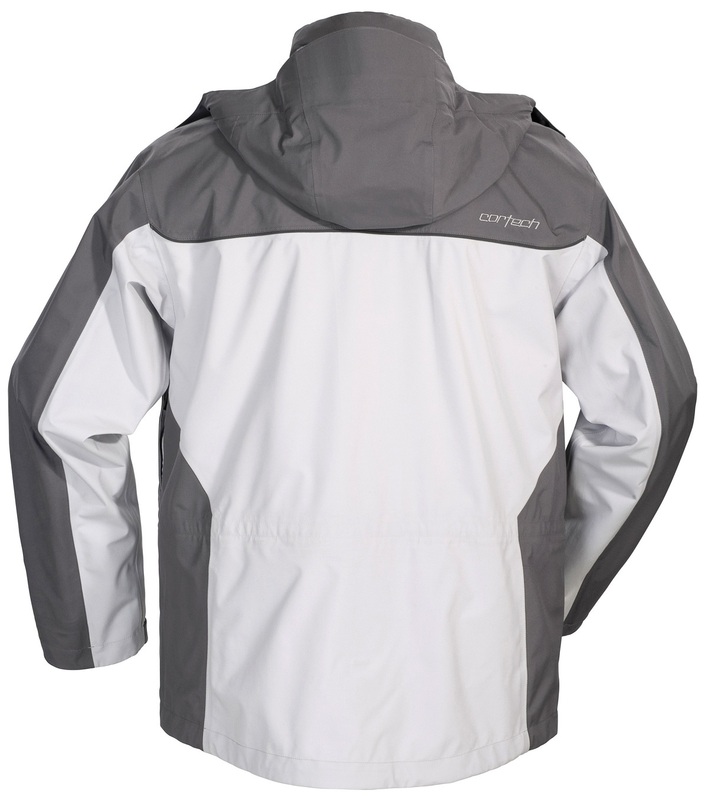 Also available as the Cortech Brayker Women's Jacket. Next, we have the Tour Master Flex Series 3 Jacket, the newest iteration in a series that has acted as the convertible of the motorcycle jacket world for many years. For the most part, the main upgrade for this year's model is the color-blocking and style of the jacket. 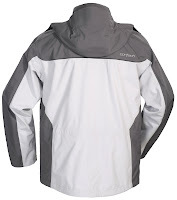 It still easily converts from a 600D Carbolex jacket to an Armor-Link mesh jacket in a matter of minutes, offering a great deal of convenience and versatility. Removable CE rated armor at the shoulders and elbows, an articulated triple density back protector, a removable quilted thermal liner, Phoslite reflective piping, a great deal of adjustability (wrist, bicep, waist), short connection zipper, and microfiber lining at the collar and cuffs round out the solid feature set of the brand new Tour Master Flex Series 3 Jacket. Also available as the Tour Master Flex Series 3 Women's Jacket. Lastly, the Tour Master Saber Series 3 Jacket is designed with the tourer in mind who is seeking a protective, waterproof breathable 3/4-length jacket that is affordable and will perform in multiple seasons. A 600D Carbolex outer shell with a Rainguard waterproof breathable barrier, the Saber Series 3 has received a very nice style upgrade for this iteration. Some key features: removable 100g polyfil quilted thermal liner; zippered chest map pocket, hadwarmer pockets, dual zippered fanny pack; adjustability at the bicep, forearm, wrist, and waist; removable CE rated shoulder and elbow armor with a triple-density back protector; 360º Phoslite reflective piping; and zippered sleeve and chest intakes with large rear exit vents. You can really get almost four seasons from the Saber. This is our quick rundown of the three key new Tour Master and Cortech jackets for Fall 2011. Be sure to check back for our detailed video breakdowns of each of these jackets.